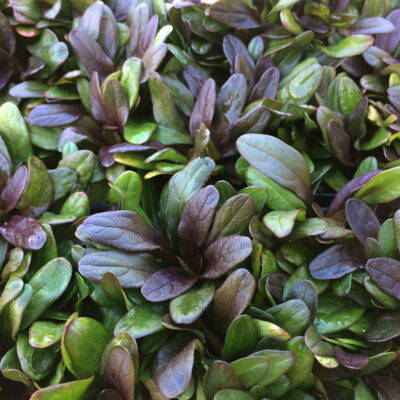 Mounds of chocolate-purple to green oval leaves form a mat-like groundcover. Expect richer color in more sun. Whorls of tiny blue-violet flower spikes rise above the foliage mid-spring. Combines well with ferns, hostas, dicentras, and other shade plants. 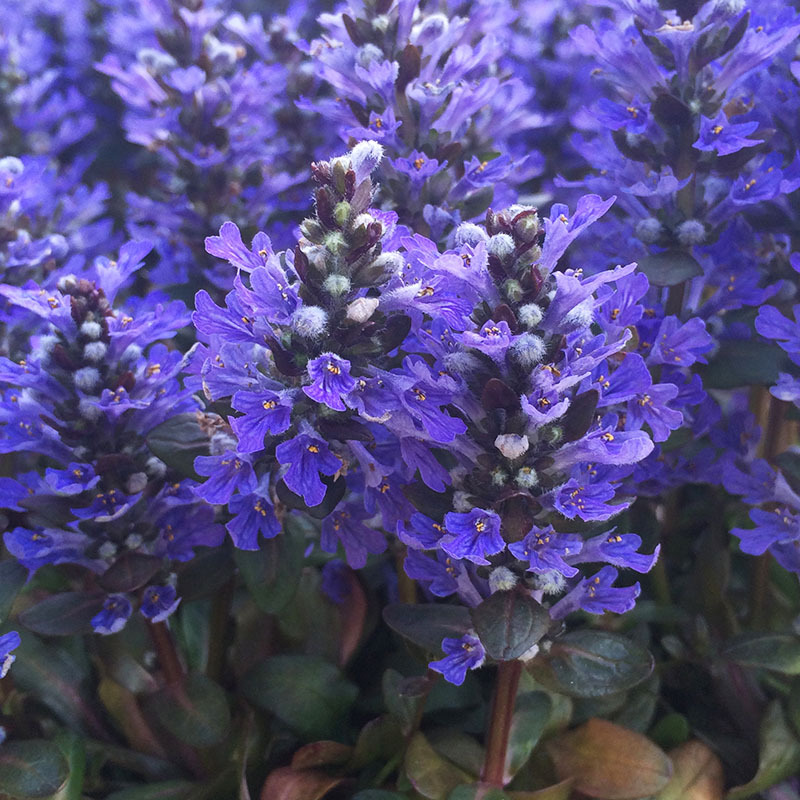 Good for small spaces, containers, rock gardens, underplantings, or as a lawn substitute. Divide when clumps become overcrowded. Full-part sun. Height 2-3”. Spread 6-9”. Drought tolerant. Good for erosion control. Zones 4-9.